REVOLUTIONARY: Some of the new machinery for Premron's Continuous Haulage System which is being implemented at its Kestrel mine. IN A world-first a Central Queensland underground coal mine will haul coal without the use of shuttle cars in a bid to make the industry safer and more productive. 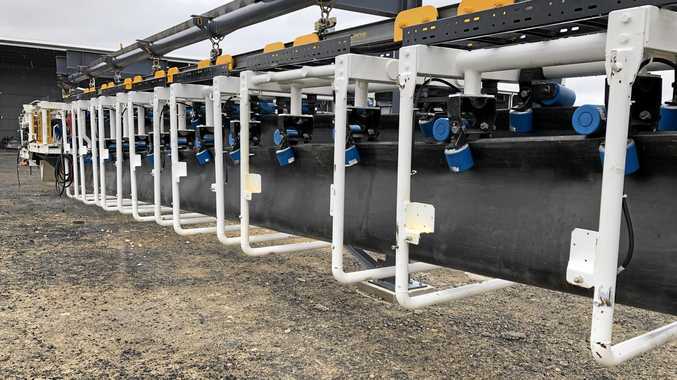 After five years of testing prototypes of the technology at its Gladstone workshop, Premron has implemented its Continuous Haulage System at Kestrel Coal near Emerald. The company is receiving a $1 million Federal Government METs Ignited Scheme to support the move. The semi-autonomous system will take coal from the underground gateroad wall and discharge it onto a conveyor belt which conveys the product out of the mine, removing the need to use shuttle cars. Managing director Michael Whelan said the CHS would make underground mining safer and save the company tens of millions of dollars per year. "We are confident that this system will improve productivity by at least double," Mr Whelan said. "The current industry average of cutting a tunnel in gateroad development is two to three metres per operating hour. "During our underground trial we will be expecting an average of six metres per operating hour." It is hoped the system would be fully autonomous and cut at least ten metres per hour (machine capacity is 28 metres per hour). Mr Whelan said removing the use of shuttle cars provided the coal mine with safe and continuous coal haulage. It is a trolley tram system, on a roof-mounted monorail and fitted with Premron's closed belt system. Mr Whelan said the closed conveyor system would also control coal dust exposure, one cause of black lung disease. "Shuttle cars can also be a danger to personnel as they take up large spaces in the tunnel and have caused serious injuries to personnel since their introduction to mining," he said. "Premron's CHS machines are fixed onto a monorail, ensuring the system does not deviate from its path and are an overall far safer system to manage." Mr Whelan said current shuttle car drivers would be trained to operate the system. 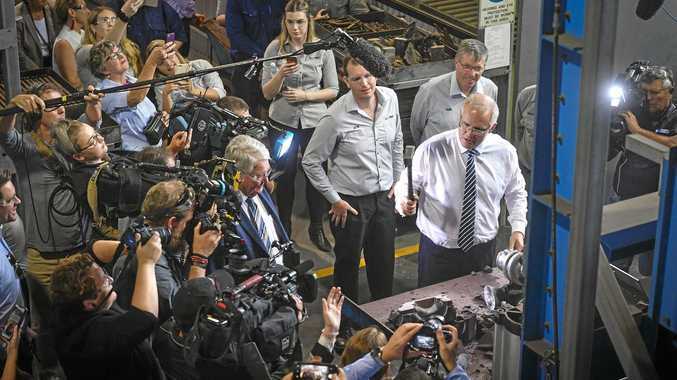 He said the project would generate jobs, including the manufacture and servicing of the machinery from Premron's Central Queensland base. There is also potential to sell the equipment to other underground mining companies. After working with Australian Coal Association Research Limited to develop the technology, Mr Whelan said Premron knew of at least 20 Australian underground coal mining companies which were watching the field trials closely. He acknowledges support from the coal industry as part of the trials, in particular ACARP's research committee.